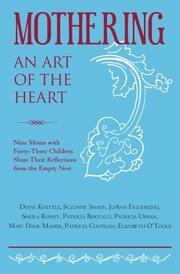 A collection of short essays or anecdotes about the trials and rewards of motherhood edited by Shady and Figueiredo. Organized into eight sections—“Joy,” “Nurturing,” “Socialization,” “Values,” “Traditions,” “Faith,” “Humor and Creativity,” and “Wisdom”—chapters explore the struggles and joys of learning how to fulfill the challenging role of motherhood. Writers share stories from when their children were born, entered adolescence and became parents themselves. The essays describe parents’ doubt and fear, loss and acceptance, and show how a family, at its best, serves as a network of support and unconditional love. One contributor writes about how easy it is to miss watching your child’s imagination grow: “Sometimes it takes a little bit of extra effort to make an ordinary day more enjoyable for those you love. But it is worth it.” Figueiredo includes an insightful, straightforward list of the lessons she’s learned from her own mother, from her friends, from her children and from herself. The lessons range from the practical—“a clean baby is a happy baby”—to the theoretical—“don’t underestimate the potential of your child.” Overall, the book captures the conflicting emotions that motherhood can bring, but there are places where it could have delved deeper into the experience. For example, one author, Patricia Costigan, mentions that she was “caught in the darkness of depression” and struggled to enjoy many of the years when her children were young, but we do not get any concrete details about how this affected her experience as a mother. The strongest moments in the book include stories of how the writers overcame hardship—the death of an adult child and the diagnosis of breast cancer—and taught their children to do the same. Though nine mothers contribute to the collection, the perspective is limited to a white, mostly Catholic point of view, which informs many of the stories. Likewise, the family structures are similar in construction and values. Though the book does not offer a wide range of experience in terms of race, demographic or even family dynamic, the stories here do reflect the title and show how mothering is, in fact, an art of the heart. Nice review. You must feel very gratified that your hard work (both the book and as moms) is getting such positive attention. Congratulations!